But contrary to some speculation about the two overlapping in their uses, crowdfunding and VC seed funding can each be raised for distinctly different situations. Equity Crowdfunding - This is crowdfunding activity that comes directly in the form of investors buying equity (or convertible debt which is akin to equity) in startups themselves. Because of SEC rules on investing in private companies, this type of funding could only come from “accredited” investors who meet certain thresholds of wealth or income. The primary equity crowdfunding marketplace has been AngelList of course, though there are others like FundersClub. 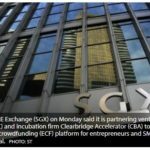 And once the specific rules of the JOBS Act take effect, you may see other platforms get involved in equity crowdfunding. “Project” Marketplace Crowdfunding - This is crowdfunding for a wide range of projects ranging from creative endeavors (books, movies, bands, etc.) to inventions to non-profit organizations. Typical platforms include IndieGoGo, Kickstarter, Quirky, and more. Funders’ contributions are essentially donations (which is why this is sometimes referred to as “donation crowdfunding”) that don’t entitle them to a slice of ownership in the company raising the capital, but rather perks like recognition or pre-ordered products. Vertical Crowdfunding - Similar to the broad crowdfunding marketplaces, we’ve been hearing about these industry-specific crowdfunding platforms more and more in the last 12-18 months. They target a particular vertical or type of business (e.g. CrowdStreet for real estate projects or Dragon Innovation for hardware/device companies). Project or donation crowdfunding can make sense for startups building a consumer product, typically with at least some physical hardware component. There are now many examples of companies that raised non-dilutive capital for building early versions of their product via crowdfunding prior to raising VC capital — Oculus is perhaps the best known example because of their ultimate acquisition by Facebook. But SmartThings, OUYA, and other consumer product startups have taken a similar path. Also, there are a lot of product inventions or businesses for which VC funding may not be a good fit, in which case crowdfunding may be a viable alternative for getting things off the ground. (For instance, perhaps the company won’t be venture scale and thus won’t attract that kind of funding.) The advantages of project crowdfunding can be the potential to raise a small amount of early capital quickly. 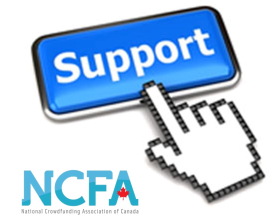 In addition, project crowdfunding can be a useful way to identify and connect with early adopter customers who provide feedback and are loyal ambassadors for your brand. But for those startups doing something other than a consumer product, project crowdfunding usually isn’t a viable path. And even those startups that do raise some capital through project crowdfunding often still seek a VC round either at the seed or Series A or B stages. 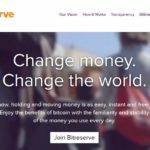 Furthermore, while a few high profile successes raise hundreds of thousands or even millions in their campaigns, the average amount raised from a crowdfunding campaign is less than $10,ooo. So unless you have dramatically successful campaign, project crowdfunding won’t raise a substantial sum for your startup.